When the committee asks who can provide signage, banners and displays for your next outdoor event – turn to the award winning exhibit experts: E&E Exhibit Solutions. We offer a variety of graphic solutions for any type of outdoor event, music festival, sporting event, horse race or soap box derby. Our sturdy, durable displays coupled with the highest quality outdoor graphics are the perfect solution to reinforce your brand, promote your products or direct traffic. Our outdoor graphics hold up to the elements and won’t fade, scratch, run or crack. 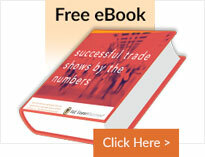 Check out our extensive custom digital graphics non-trade show offerings. E&E Exhibit Solutions has a complete line of Exhibit Displays, trade show graphics, and accessories for your business. We also offer a wide selection of exhibit rentals (in authorized states) at our rental site.